Always your file is printed with personal attention to the optimum color and print quality. SOME OF YOU have been CURIOUS about the equipment we use and how things are done. The printer is an Epson P9000, utilizing the latest technology for excellent color and durability of prints. 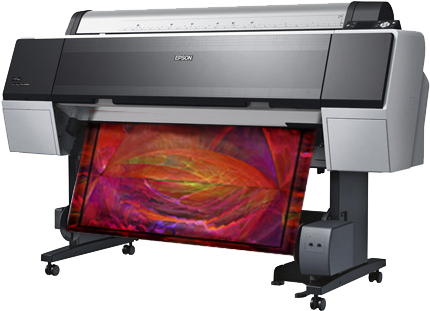 Capable of prints up to 44 inches wide and as long as you want, this printer is a favorite of many photographers and artists. I am a fellow artist and exhibitor. Until recently I was an art instructor at the local university teaching traditional and computer art as well as photography. Currently I am devoting full time to giving you lovely scarves of your art and prints on silk for home and office decor. Getting to know you through email and through your creative ventures is a joy and pleasure. Although the printer can print on sheets of various dimensions, your prints are done on rolls to save us time and you money. 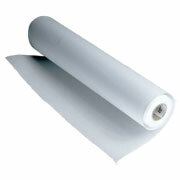 Pre-cut sheets of print-ready silks are often preferable for small size prints, but we don't carry any of them in stock. Perfect for your home printer, but awkward on the large printer. That said, I can print small prints for you, but the price break comes when a group of small prints can be printed at one time, in a group file. I have printed rows of tiny 4x5 inch images this way which the artist used for holiday greetings or to promote an art show. The ink used in the printer is called UltraChrome HDX pigments. These inks have been tested to last over 400 years. SILK remains our specialty. There are many weaves and weights of silk fibers. Scarves commonly use the Habotai - which is sometimes called 'china silk'. Silk chiffon, georgette and silk crepe de chine also make wonderful scarves. Our fabric is imported from China and Fuji, and processed for printing in northern California. These are the best quality fabrics available. Other fabrics available are silk charmeuse, organza, Belgian linen, silk twill, and a couple cotton fabrics. See the FABRICS page for more on the silks. 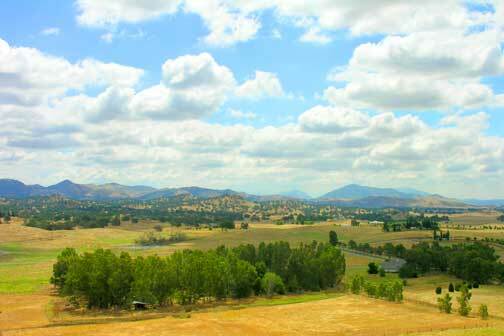 I am located in California's Central Valley, in a great community of artists, writers and musicians. When not painting, or printing, or writing, I enjoy exploring the beautiful landscapes of the Sierra at our back door. Check my personal website www.donnaleedunne.com for an overview of past exhibitions and installation pix of recent shows. Ive been a member of Gallery 25 in Fresno as well as the California Contemporary Art Collective for many years. If you like you can take a look at the work of my late husband, Ralph who was instrumental in developing Digital Silk. As well, the art of my daughter Tina Williams is located here. She passed away at a young age in 2013.